One of the best features of the best office chairs is the forward tilt mechanism. This mechanism allows you to easily change the angle of the chair's seat. You can use it to tilt the seat either up or down. This allows for a more customized fit for your chair. With the right angle, you can reduce the pressure put on your back as you sit in the adjusted chair. It also lets you more easily keep a healthy posture as you sit. It can even help your blood circulation to your feet, back and legs. One of the most important things that an office chair provides is back support. 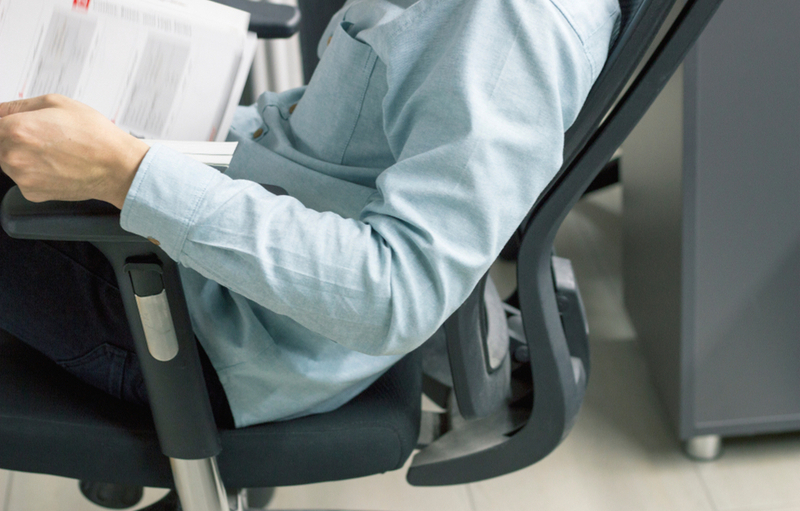 Having poor posture while sitting puts too much pressure on your back, and it can create a habit of bad posture that carries on even after you've left the chair. Being able to tilt the seat forward forces a better posture, and it can help you to strengthen your back muscles as well as those in the side and abdominal core. Keeping better posture in an office chair leads to better posture when standing and walking. By far the most common complaint of pain is lower back pain. Often, this is caused by staying in a position that does not provide proper support. If you have employees who are complaining of lower back pain, an office chair with a forward tilt mechanism can offer them relief. A forward-tilting seat redistributes the pressure of the body to a wider area rather than concentrating it on the lower back. It's a quick way to make your employees feel better and to ensure that more employees don't start feeling back pain. Contact us for a chair that will be more comfortable and supportive for your employees. With their forward tilt mechanism, they are ready to be customized for the perfect fit for each user.